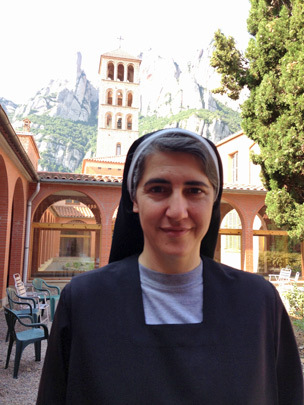 A Spanish nun has become one of Europe's most influential left-wing public intellectuals. This year, thousands have joined her anti-capitalist movement, which campaigns for Catalan independence, the reversal of public spending cuts and nationalisation of banks and energy companies. As political headquarters go, the monastery of St Benet has got to be among the most beautiful and peaceful anywhere. To get there you must take a breath-taking drive up the sacred mountain of Montserrat. 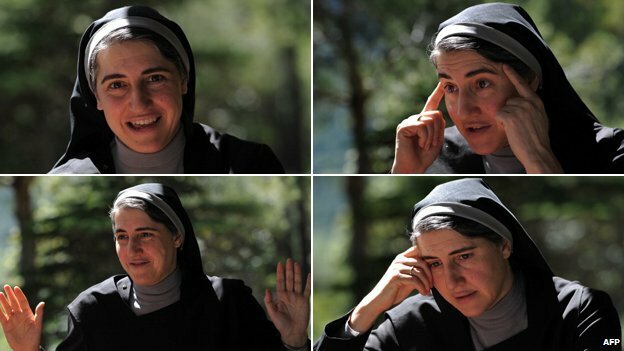 Sister Teresa Forcades, the unlikely star of local television chat shows, Twitter and Facebook, had been worryingly hard to nail down. So great is the demand for her time and blessing, that her secretary's email here at the monastery, always returns an automatic reply that the inbox is full. Sister Teresa seems always to be in at least two places at once. She is bright-eyed, confident, almost breezy. Her disarmingly perfect English - mastered during a few years at Harvard University - feels somehow out of place in the humble cloisters of this serene spot. There's no politician quite like her. She's never without her nun's headdress, and says that everything she does is born of deep Christian faith and devotion. Yet, she has been strongly critical of the church and the men who run it. Followers of her movement, Proces Constituent, which has signed up around 50,000 Catalans this year, are mainly non-believing leftists. She won't run for office, and says she won't create a political party, but she's undeniably a political figure on a mission - to tear down international capitalism, and change the map of Spain. Sister Teresa believes the Roman Catholic church should be thoroughly modernised for the 21st Century. She thinks women priests should be welcomed, and that gay people should be allowed to serve openly in the church. Pope Francis should be judged, she thinks, on how the Women Religious - which includes the majority of nuns in the United States - are treated by the Vatican. With a natural flair for public speaking, and a razor-sharp campaigner's mind, hasn't she really outgrown the monastic life, and won't her sisters become weary of the constant trail of visitors, I wonder? She breaks off our first, intense interview, to greet a delegation of Catalan independence activists, who have come to pay homage at the monastery. While I wait, the sisters who stop to talk, are in no doubt that her talents and fame are "gifts from god", and that she's paving the way for a newer, more feminist future for the Catholic church. They are just three dozen women living a quiet life of prayer, but this is Sister Teresa's political power base. She is their ambassador to the secular and often turbulent world down the mountainside. Unlike most political parties fuelled by rivalry and deal-making, Sister Teresa's inner circle loves her unconditionally and the feelings are mutual. When I travel to see her drumming up support for the new movement in a town square, the place is packed. She grips the crowd with radical ideas that frighten many mainstream politicians in Spain. She admires Gandhi, and some of the policies of the late Hugo Chavez in Venezuela, and Bolivia's Evo Morales. But it's the centuries-old economic model of Benedictine nuns creating useful goods to sell, that she cites most passionately. After a two-week break, I drive up the winding road to the monastery for a last visit. Sister Teresa has been at a religious conference in Peru, where it's winter, and she's come home with a cold. 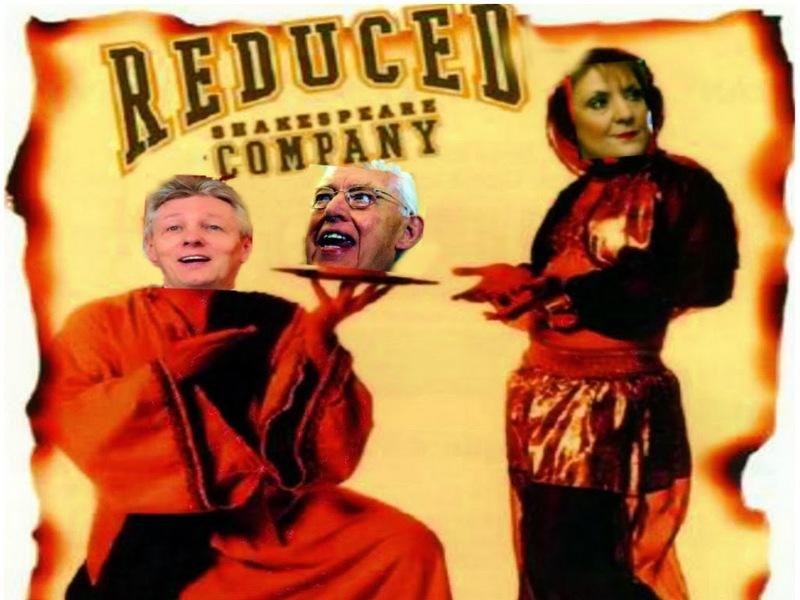 Bishops loyal to the Vatican have been criticising her radical stances on everything from abortion to banking. It's become a familiar battle wherever she goes. For now at least, her own bishop at home, has not forbidden her to carry on. In the chapel she greets my wife and two young children warmly. She tells me that as a teenager, she herself was put off taking holy orders by the need to live a celibate life. Is this another contradiction I wonder: is she missing a life where she can love freely, with all that that implies? She tells me that she's been in love three times since becoming a nun, but her devotion to God and the monastery is as strong as ever. "As long as my religious life is full of love, I'll be here," she tells me. "But the moment this life turns sacrificial…Then it's my duty to abandon it." 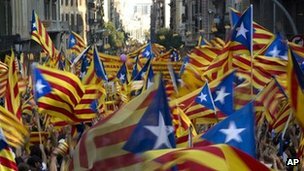 For now it seems, Catalonia's love affair with perhaps the world's least predictable political figure, is set to run and run.